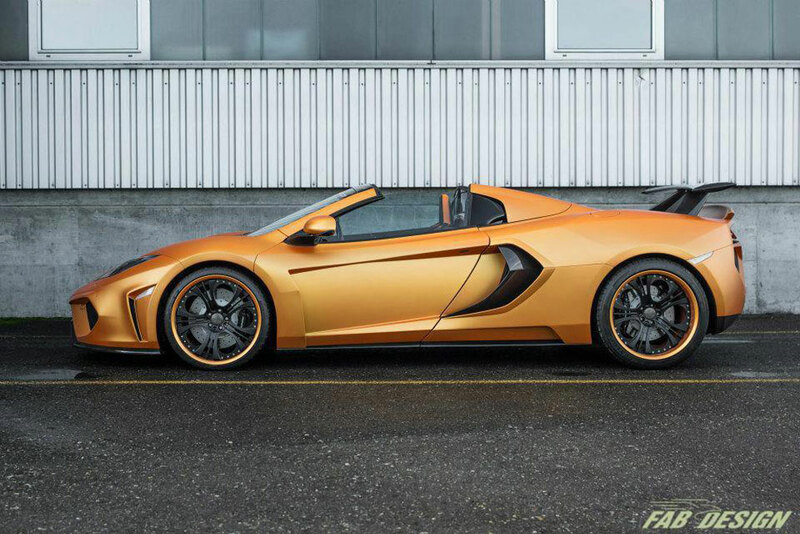 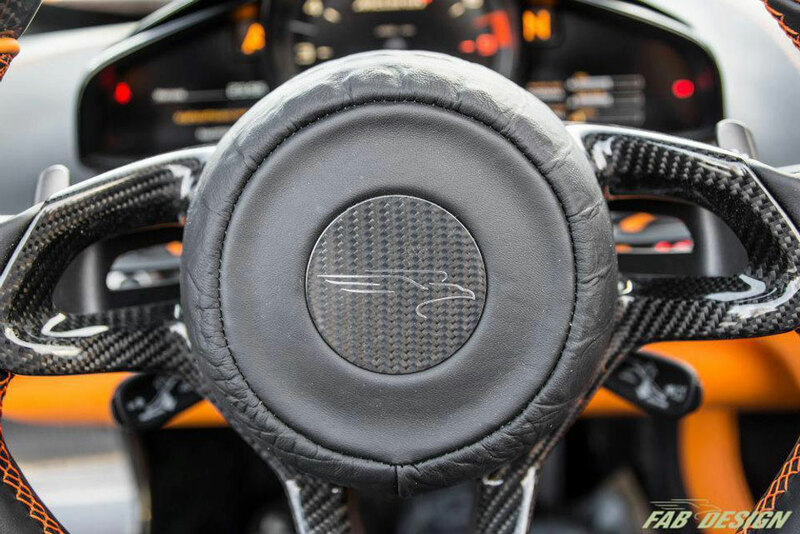 FAB Design has recently upgrade the McLaren MP4-12C Spider and it has equipped with its Terso bodywork package along with a few technical modifications. 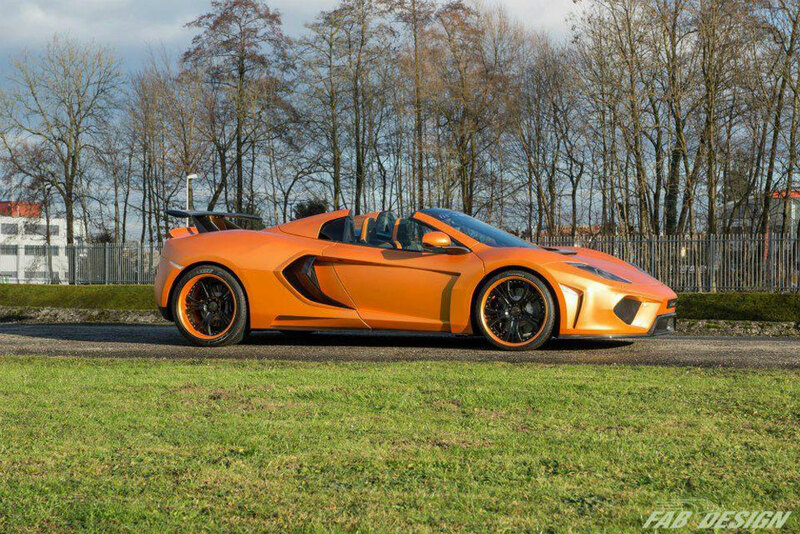 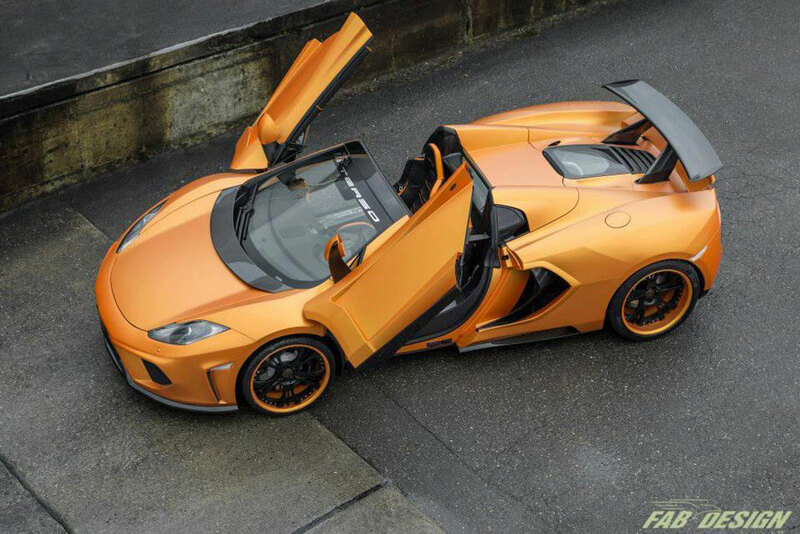 This orange MP4-12C has debuted at the 2013 Tokyo Auto Salon. 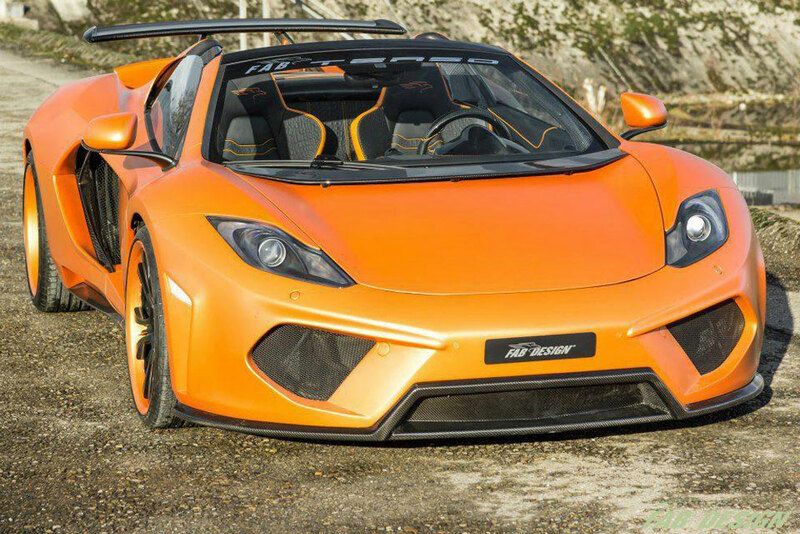 Supercar received an aggressive body kit that includes a massive intakes and a huge rear wing, functionally aligned with the smaller ones. 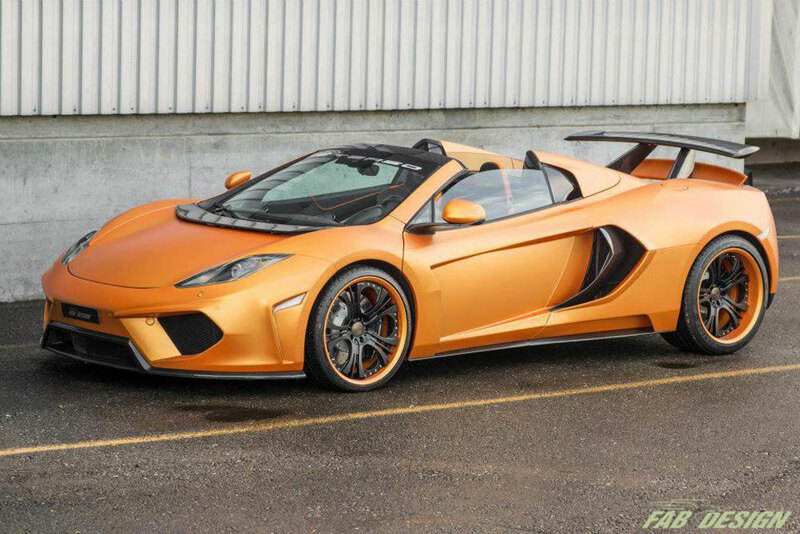 To mighty Spider were added a 20-inch FAB Design Evolution wheels with Dunlop SP tires PortMaxx. 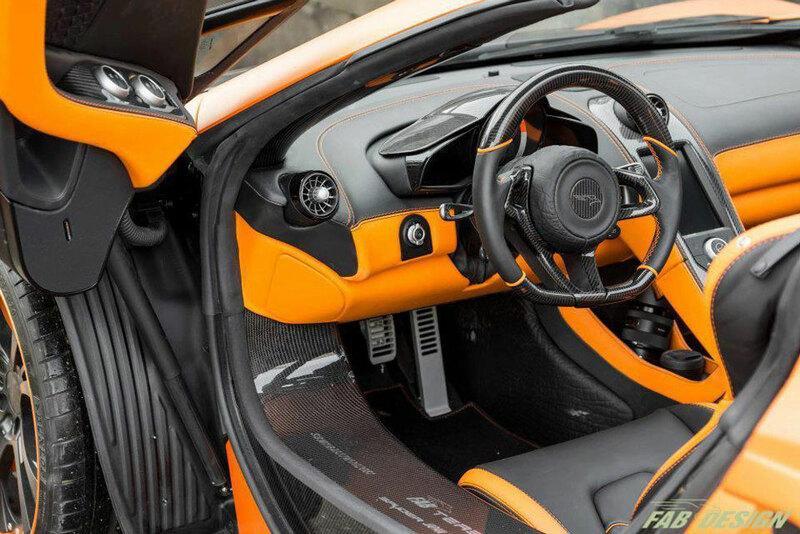 Technical changes include exhaust system in stainless steel with 3-zone exhaust pipes and carbon remapiranu ECU unit. 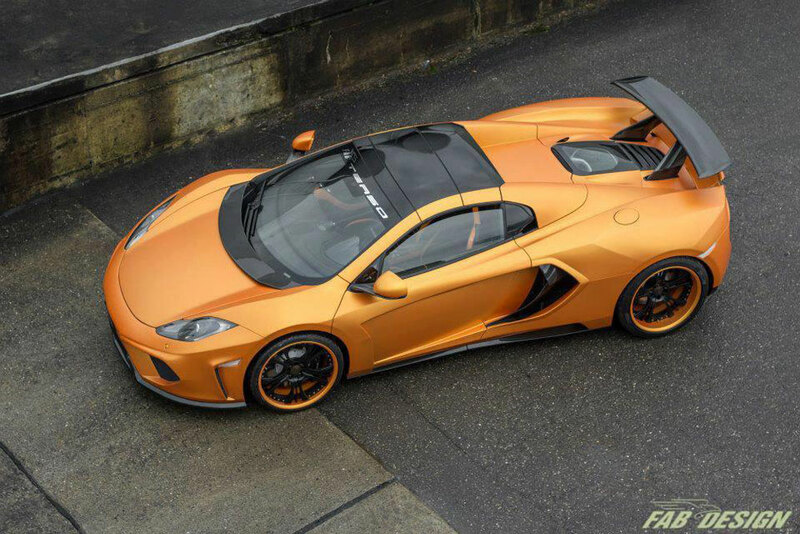 With these modifications, 3.8-liter bi-turbo V8 engine now develops 680 hp, 65 hp more than the standard version. 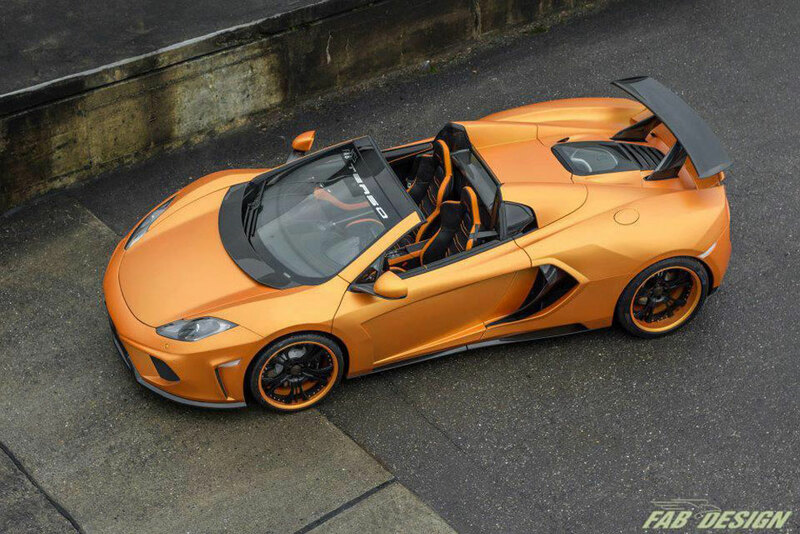 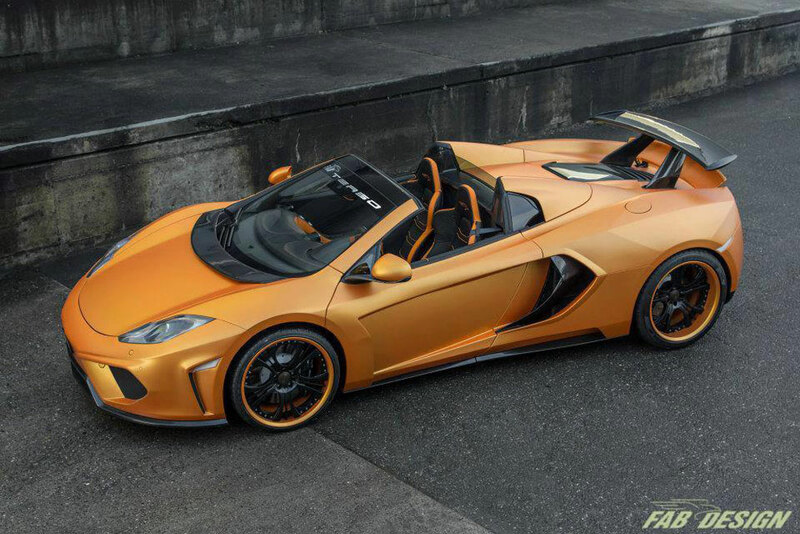 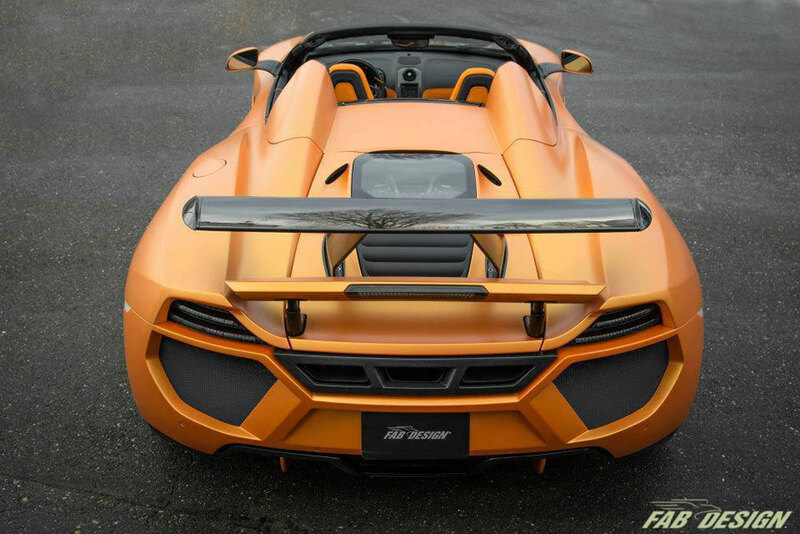 McLaren MP4-12C Spider Terso reaches 62mph in 3 seconds and develops a top speed of 213mph. 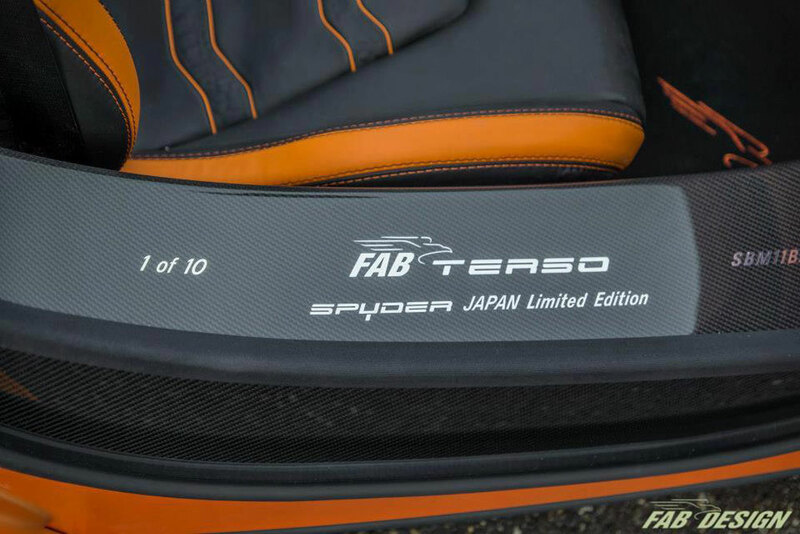 Fab Design will offer customers only 10 of these specially processed specimens.